Clean rooms maintained virtually free of contaminants, such as dust or bacteria, are used in laboratory work and in the production of precision parts for electronics or aerospace equipment. Engineering ToolBox, (2005). Clean Rooms - ISO Standard 14644. 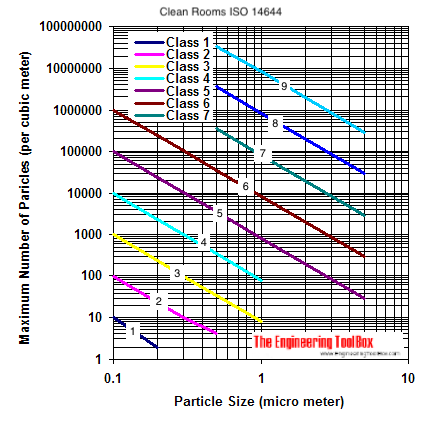 [online] Available at: https://www.engineeringtoolbox.com/clean-rooms-iso-d_933.html [Accessed Day Mo. Year].